As a celebration of 10 years of Marvel Movies at our cinemas, I've decided to revisit each Marvel film once a month and discuss it's highs and lows and see if they have aged well or badly within those ten years of CGI, brash heroes, fearsome enemies and lots of high thrills adventures. 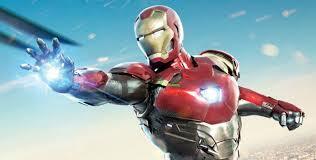 First up this month is Iron Man, the first in what is now a series of films with 18 entries. The relevance of this film cannot be understated as it's style and success paved the way for a billion dollar franchise that has just gone from strength to strength. It also features an unlikely lead actor in Robert Downey Jnr , who after battling his own personal demons would not have been most people's choice to play Tony Stark aka Ironman yet it is a role that he has more than made his own. His charismatic personality and humour also introduced a more human and likeable superhero, one that was not afraid to poke fun at himself and others - a style that was repeated throughout the Marvel series. Directed by Jon Favreau Iron man deals with billionaire engineer Tony Stark, who after being held captive in an Afghan cave, creates a unique weaponized suit of armor to fight evil. Aided in no small part by highly impressive visuals, it is the career resurrecting performance of Downey Jnr that makes this superhero movie stand out from the crowd and widens it's appeal to include not only fans of the genre but all lovers of a good action adventure blockbuster. The snappiness of the script is matched by the high octane action sequences in a film that is nicely paced and holds the viewers attention throughout. The supporting cast of the likes of Gwyneth Paltrow, Jeff Bridges and Terrence Howard add their considerable talents to assist in creating the near perfect superhero blockbuster and one that would change the form that these type of films would now take. Overall, it holds up to repeated viewing with the plot, action and performances still looking fresh ten years after it's initial release. Whereas the visual sequences may have improved in the subsequent Marvel movies thanks to advancement in technology, Ironman remains a very enjoyable superhero movie that will bring as much joy from it's tenth viewing as it did on it's first!